Friday Dec. 23rd was the first day I had a chance to get on the ice. We went to Willow Slough and it didn’t disappoint. The bite was very good from sunrise to 8:00. After that it slowed down but we still managed to catch a few until noon. By the end of the day we had caught close to 120 fish with the biggest being 11″. 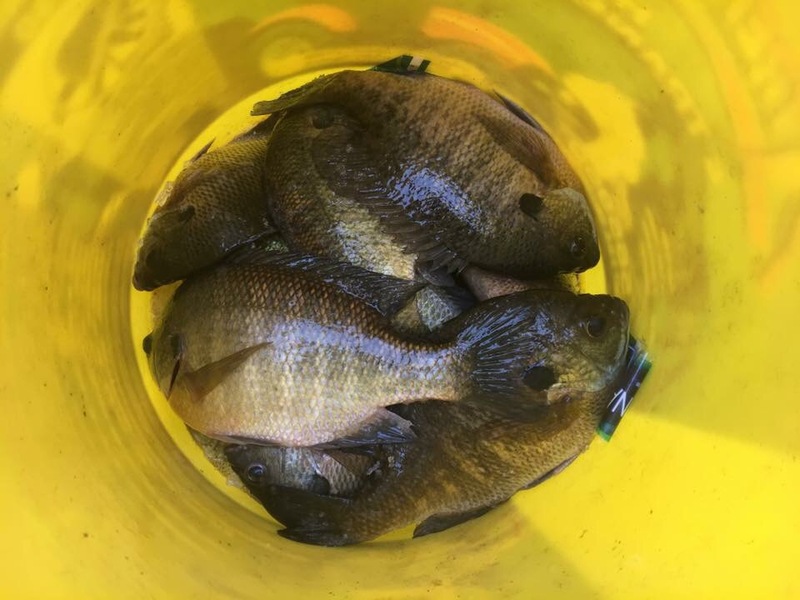 I was able to bring home 13 nice big bluegill. Bee moth was the go to bait as spikes didn’t get much action. Jig color didn’t seem to matter but if I had to pick it would be green.